MLC knight sketch, originally uploaded by jjjaspersen. 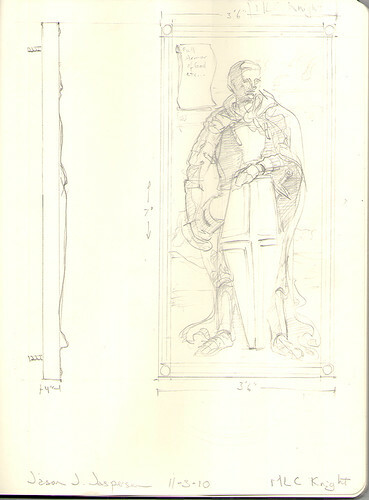 A preliminary sketch for a relief sculpture on the theme, "The Full Armor of God". It is being proposed for Martin Luther College in New Ulm, MN. This is a continuation of a project originally intended for St. Croix Lutheran High School.